Two blues! Two great rides! Second, there was only one other Adult Walk-Trotter. When I rode past her the first time, I made the arrogant snap decision that I could take her. Still, I rode my a$$ off. One, I could have been wrong about which one of us was better. Two, even if I was right, with the time and expense involved, I might as well ride the best I was able. Even a solo class could be a chance to practice for more competitive classes, to prepare for the Finals in November, and to learn as much as possible to carryover into other saddles. The techniques may differ. Future dressage judges do not want my hands up by my ears. However, the underlying lessons are the same. No matter the saddle, I need to sit up, look where I’m going, and not get sucked into doing the work for the horse. One of the Walk-Trot munchkins and I shared Sam. That meant one horse, two riders for the Championship class for all Walk-Trot riders. I have already gone on file that I will defer to the kids in these situations. I have shown before. I will show again (LW&TCDR). One effect of accumulating many years on the planet is that the long view is forced upon one. When I said to let her ride, I meant it wholeheartedly. I helped her get ready for the class. I screamed my fool head off when she won. However, I went a wee bit green when they draped a neck ribbon around Sam and handed the rider a tricolor and a trophy. Such a load of lovely loot. Of course, if we had both shown, I might not have won. That particular munchkin beat me in the Horsemanship Challenge earlier this year. If I had ridden in her place, there is no telling if I could have outridden the 8 year-old who came in second. 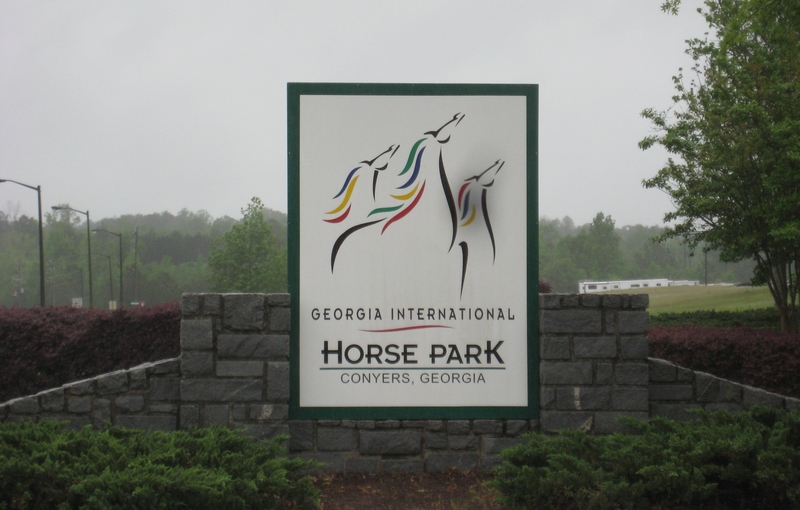 Horse Shows> 2013 Dixie Cup Spring Classic > May 04, Saturday > Afternoon > 305/6 Academy WT Showmanship/Equitation Adult. Yellow vest, helmet. Can you spot the fascinator I wore on my helmet during warm-up for the first class? I had every intention of showing with it but my instructor lost her nerve/got smart and pulled it off. Thursday > Morning > 023 Adult Equitation, winner. Friday > Evening > 110 USEF Saddle Seat Adult Amateur Medal, winner. Saturday > Morning > 133 Saddleseat Adult Equitation Stake, only entry. Check out 133-004-13DC in particular – no lesson drudge here! The audio track for the drive was The World Until Yesterday: What Can We Learn from Traditional Societies? 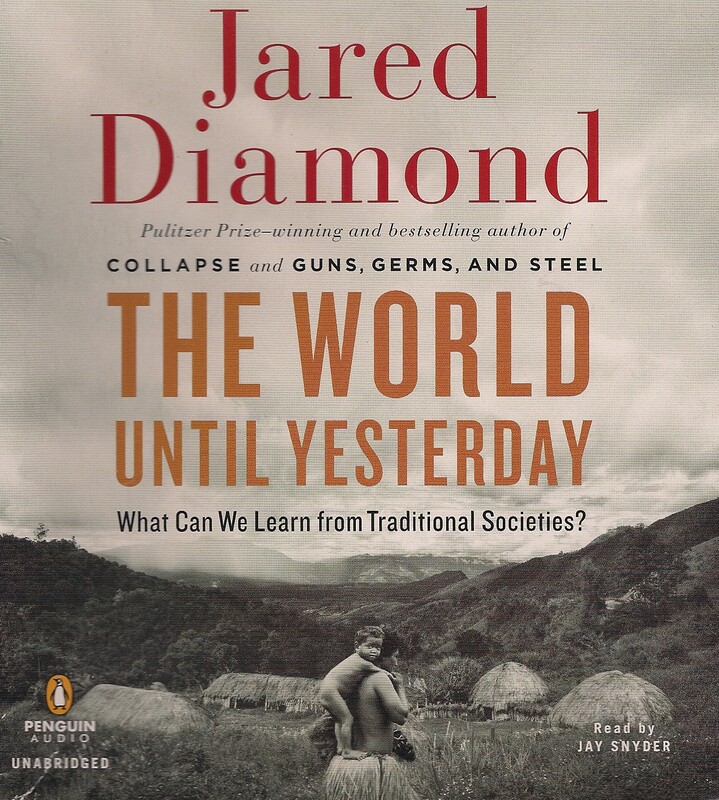 by Jared Diamond [Viking 2012], read by Jay Snyder. My take-away from the first third of the book was how unusual it is – historically speaking – that we can wait in line with strangers and not feel threatened or the need to threaten. You did a good job and should be pleased with yourself. Sam looked super. Going to have to try the Diamond book; Guns, Germs and Steel was terrific; not so much Collapse (that one felt anticlimactic …). Anyway, great job on a very wet weekend both for you and for Sam! Yeah, you for the double win! Playing against kids is always a lose/lose. If you win, you’re a grownup, so ick, if you lose, just as awkward. Good choice to let the munchkin have the glory.